Sorrow's Knot left me speechless when I read an ARC of it early last month (REVIEW) and, unsurprisingly, has remained in my thoughts - constantly. It's such a thought-provoking novel, one which extends beyond the barriers of both the Young Adult genre and Fantasy label. Needless to say, I just had to get Erin Bow to stop by the blog to discuss her latest and, I have to admit, this is one of my favorite posts all year. It's just that good. 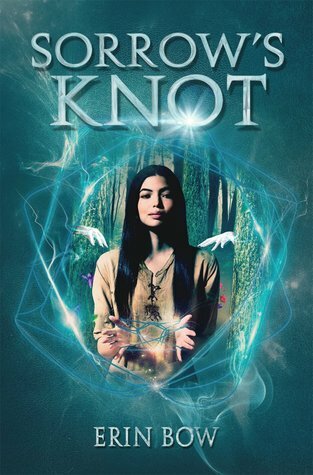 I know all writers are supposed to be happy in public all the time, but I have a confession: I had a hard time writing Sorrow’s Knot. To start with, the story wandered around for quite awhile before acquiring its setting, which turned out to make a huge difference to it. (I wrote about that here.) I had to throw out everything I’d done up to then, but still, finding the setting made it possible for me to write a solid draft of the book. I made that draft as good as I could make it — worked on it with my writer’s group, sat with it, edited it — and then sent it to my editor. So, the first step in that was to spend a long painful stuck spell where I had no idea how to fix my apparently broken book. In the end I “fixed it” by throwing out that earlier draft entirely. I kept six characters, and about three beats of plot. There’s one chapter in the middle, where two characters are climbing a mountain, which I was able to reuse. They’re climbing the mountain for different reasons in the final version, but they still climb the mountain, so quite a bit of that prose carried over. And that’s it. In all, between the wandering draft and the draft I initially submitted and then threw out, there are some 150,000 words that I wrote but that didn’t tell the story I wanted to tell. There’s editing, and then there’s EDITING. I didn’t know it was possible to throw out the story to save the story, but it is. I record it here because it’s something I wish I’d known. Anyway, I sent the new version of the book to my editor in August of 2012, and in early November of 2012 — somewhat delayed by Hurricane Sandy and the need to flee the darkened island of Manhattan to find a mailbox — he sent it back. The notes were much more manageable, which was good, because the publishing house now needed the book by December 1. So I went off to a (literal) cabin in the woods to finish it. No family, no day job, no wi-fi. It took ten days of intensive effort. I worked on the pacing — cutting 4,000 words from the first part, for instance. I worked on the puzzle pieces. This is a story in which characters have to figure something out, and as always, the solution was far more obvious to me, as the writer, than it was to anyone else. I tried to put the right pieces in the right places, for the characters to work out at the right times. I wasn’t as concerned that the reader might get there ahead of the characters — it is a fairy tale, in a way, and we often know what’s going to happen in those before the characters do. Still, this was a tricky part, and perhaps it shows — some reviewers complain that it’s way too obvious, and others that it’s not clear enough. Perhaps most importantly, I worked on the tone. This is a book about death that has “Sorrow” in the title, and it was never going to be a laugh a minute. But the three central characters have had a good life, and they are good friends. I wanted them to have some good times. So I added, at my editor’s suggestion, scenes where they are having fun. (“Avoid the urge to mention doom,” he wrote — he knows me.) So I added the opening scene where they’re all throwing mud at each other. The bit where Kestrel and Cricket pledge okishae. The bit where Otter and Kestrel catch a rock-stupid goose. A half-dozen more. People cook more in the final draft. They fuss over each other’s bedding. They are warmer, snugger, funnier. I like it. This cabin-in-the-woods edit was fairly minor, as edits go. But the process of doing this edit felt different for another reason, too — through all this work on pacing and plot mechanics and tone, I didn’t touch the story. I COULDN’T touch the story. And this is really what I want to say, the reason for all this rambling. I want to give you some idea of how different and surprising and miraculous it felt to find that somewhere in there, the story I’d written became the story, the only possible story. I know better than anyone else that Sorrow’s Knot was once a very different tale. But still, I find it unimaginable. To me, the way the story settled into the “right” shape as if that shape had been waiting for it all along, confirmed something I have long believed: A story is not created, but found. Love this post! It's always so fascinating for me to hear authors talk about how their books came to be, especially when it travels a very rocky road as Sorrow's Knot did. It only makes me appreciate the final story all the more. So glad Erin found the story this book was meant to be from the beginning! Wow! Love the way you were able to keep going and work hard to get that story out. Even if it isn't the one you started with! Really enjoyed this post. Ah, such a great guest post. I can imagine how painful it must have been to throw out so much of what you've written, but also liberating, too. I always love reading about the writing process, so thanks to Erin and Keertana for this post! But wow, this was quite the process. I'm only familiar with one author's writing process, but after more than 15 novels, she is so experienced that she edits as she goes. Still, a cabin sounds like a good idea, away from all the distractions. I admire your relentless spirit, Erin. To have tossed out your original manuscript and start out anew, must have been a difficult decision to come to; but you didn't let that decision eat you up. What came from that decision were greater results. I honestly can't wait to read your work. Between reading Keertana's lovely review of Sorrow' Knot to this post where you discuss the journey of your book in detail, I just can't pass up the opportunity. Thank you both for sharing. This is a fascinating post! Thank you for sharing your writing process with us. I can't imagine throwing out nearly an entire story and starting again. But I love the intangible understanding that 'something is not right' and working hard to get it there, because you have a certain vision. I haven't read this story, but it sounds like it paid off big time. I'm always interested in these types of background posts about what went into crafting a book that can be read in a few hours. Another wonderful author post, K! 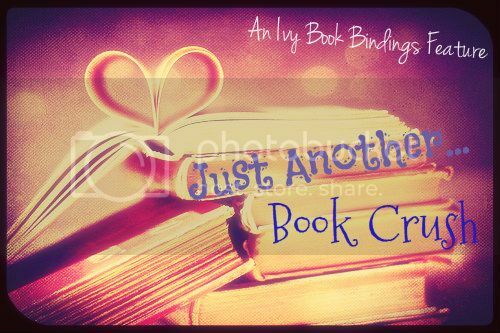 This is an awesome Just Another...Book Crush, Keertana! This is such a wonderful guest post and was a pleasure to read. I'm always so fascinated to read posts from authors about how their stories end up coming together. It seems to have all worked out well for Bow in the end, but what a journey to get there! And I LOVE this final words: A story is not created, but found. . I definitely want to take those to heart as I write my own stories.